Google announced yesterday a major step in their Google Analytics platform. The ability to simply ask it a question about your web site data and it comes back with a report. This feature is called Ask Analytics Intelligence. 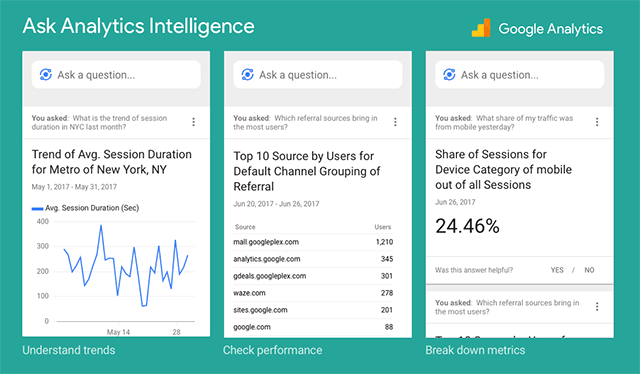 This feature, which uses the same natural language processing technology available across Google products like Android and Search, is rolling out now and will become available in English to all Google Analytics users over the next few weeks. This is really cool and I cannot wait to use it!